The last but one day of November would be the last to be forgotten in the life of Jagatsinghpur, the District that has the unique distinction of being the bearer of the birthplace of Orissa’s first Mahakabi (author of mega epic Mahabharat) Sarala Das and the State’s first Mukhyamantri (Chief Minister) Nabakrushna Chowdhury, both epoch makers. Sarala Das settled Oriya language in such a sphere that thye Linguistic Survey of India had to declare that Oriya vocabulary is so very vast that neither Telugu nor Bengali nor Hindi can vie with it. Nabakrushna Chowdhury gave the people of Orissa the right to be served in Oriya language for which purpose the guardian generation of Orissa had battled against all odds since 1870 to create India’s first linguistic province of Orissa. The Orissa Official Language Act which he created and promulgated in 1954 was to cover the entire State where all and any official work was to be done in Oriya Language. 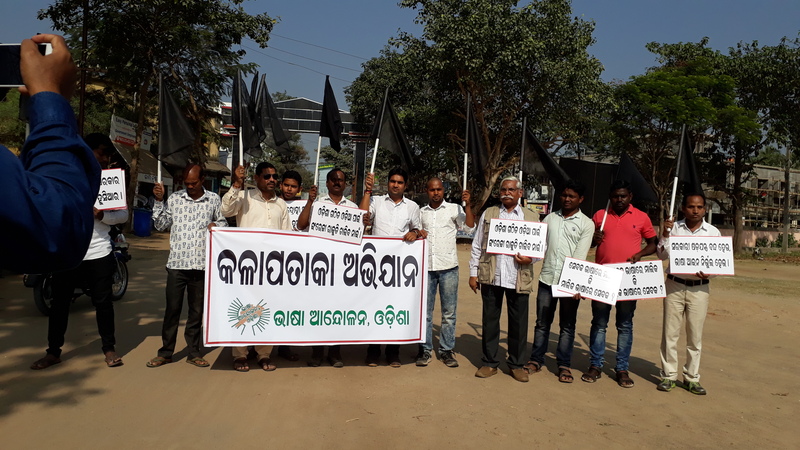 Incumbent Chief Minister Naveen Patnaik, entirely averse to Oriya Language, has sabotaged the Act by inserting therein a new section namely Section 4-A which is designed to debar the people from getting official service in Oriya everywhere in the State and more menacingly, bureaucracy shall determine the standard and the scope of official use of Oriya. Presidium of Bhasha Andolan has served an ultimatum on the CM to repeal the harmful section 4-A and to replace it with a new section providing for stringent punishment against any contravention of the Act framed and promulgated by Sri Chowdhury in 1954. 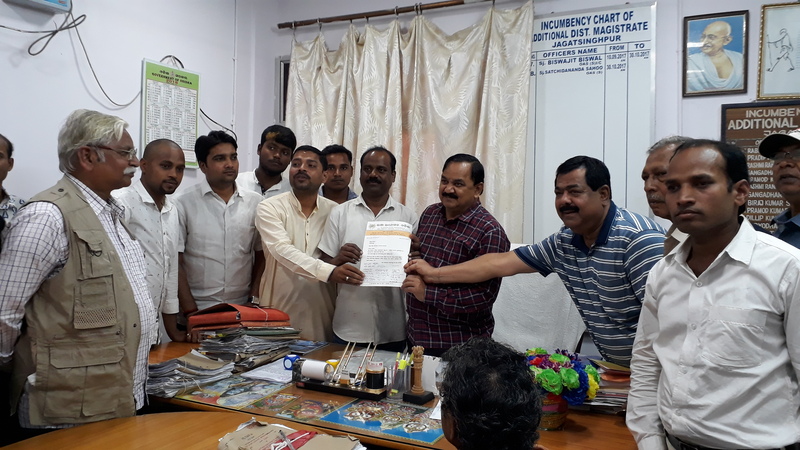 Jagatsinghpur district unit of the Andolan submitted a memorandum on November 29 to the Collector espousing the ultimatum served on the CM. 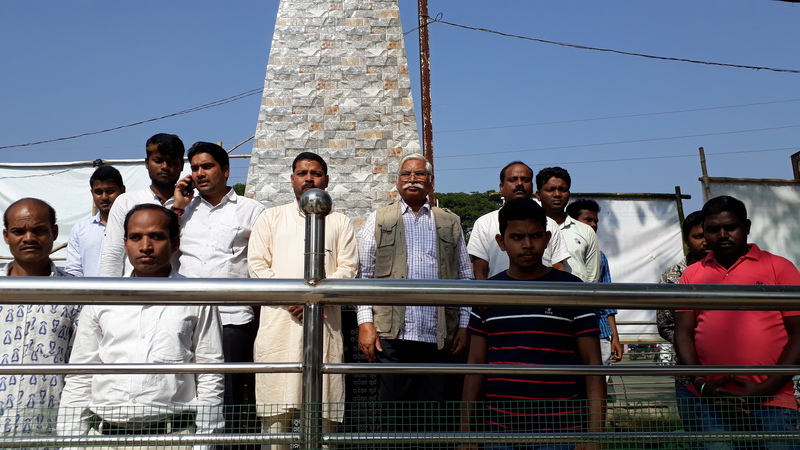 Convened by district coordinator Krishnanand Sahu, the memorialists were led by President of the district unit and former Chairman of Jagatsingpur Municipality Sri Biplab Chowdhury. 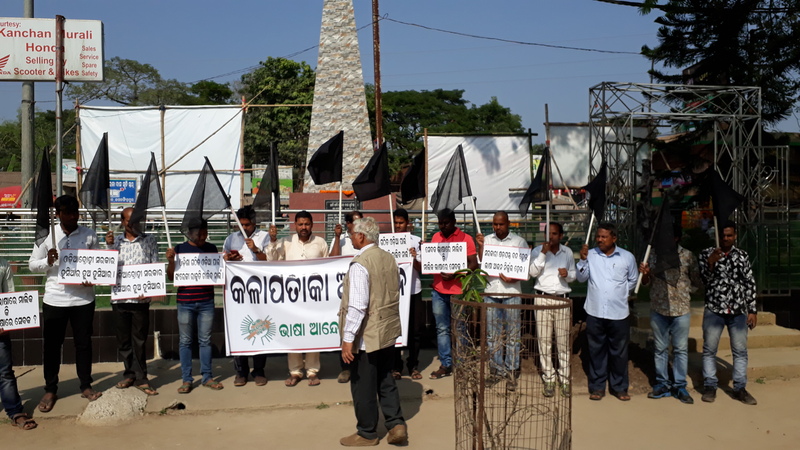 The unique black flag march, hallmark of decency and decorum in public agitation that the Bhasha Andolan has created, commenced from the Sarala Memorial tower after singing glory to mother tongue Oriya and handed over the Memorandum to the Additional District Magistrate (General) who received the same on behalf of the Collector, for onward transmission to the Chief Minister. 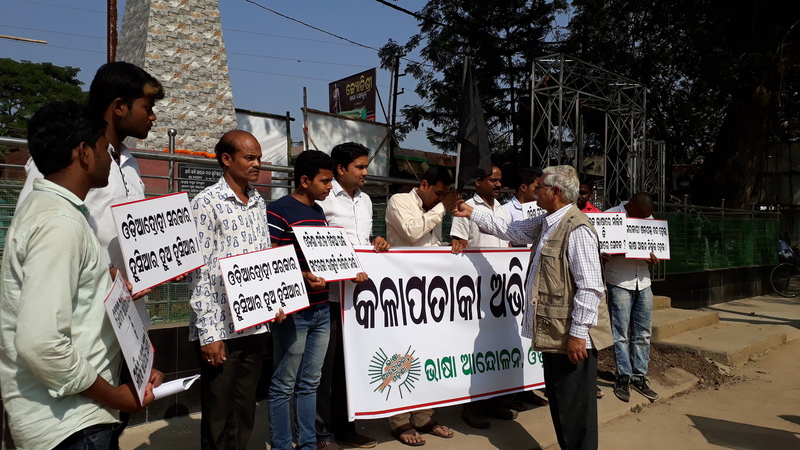 Among others,eminent activists committed to the mother tongue, were Devi Prasad Chowdhury, Pranakrushna Sethi, Madhabendra Gochhayat,Ramakanta Dash,Prasant Kumar Mallick,Sunil Kumar Matia, Krushnachandra Pradhan,Saroj Kumar Sahu, Sachin Kumar Beura,Saroj Kumar Lenka, Bainshidhar Behera,Arun Mohanty, Sudarshan Behera,Prasant kumar Mohapatra, Banambar Matia,Soumyaranjan Das et als signed the memorandum that espouses the Ultimatum given to the CM.